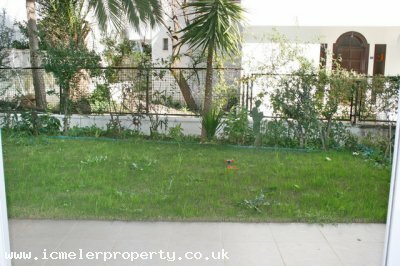 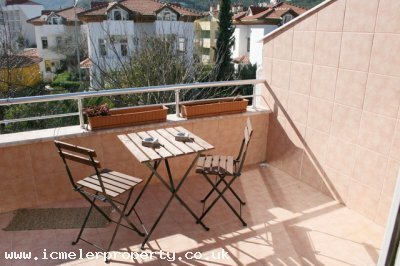 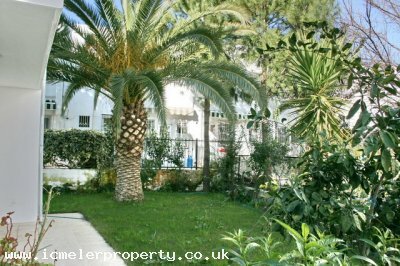 Superb holiday rental located in the center of Icmeler only a stroll away from the beach. 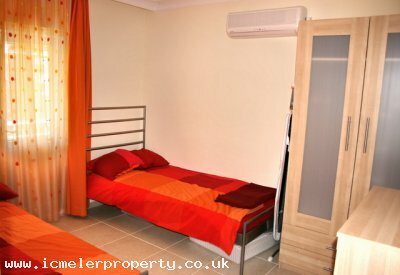 The apartment comes fully equipped / furnished and is perfect for big families. 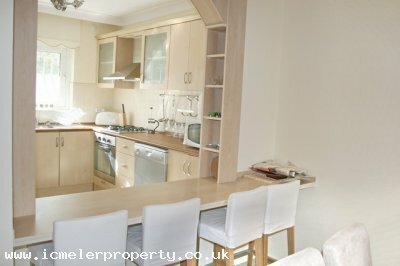 It comprises a bright lounge with very comfortable seating, dining area and fully equipped kitchen with breakfast bar. 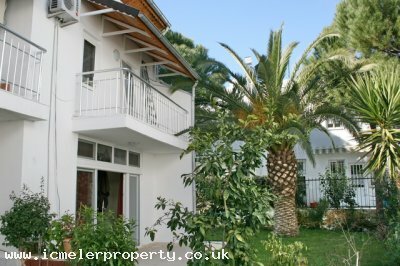 French doors to the lovely garden. 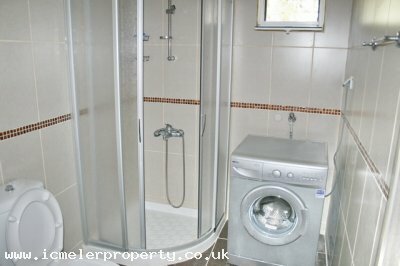 First floor with 3 bedrooms of which one has an en-suite and bathroom. 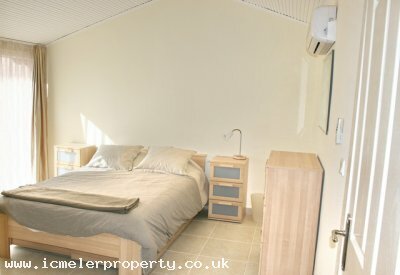 Second floor has another 2 bedrooms. 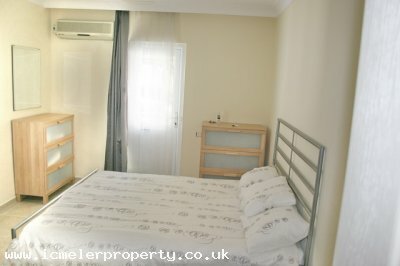 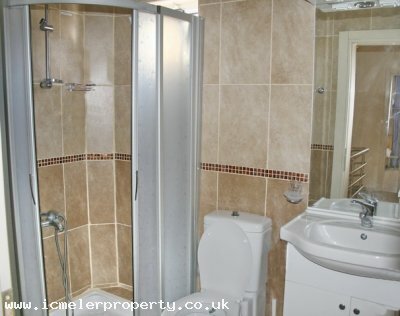 The property has been refurbished recently and all equipment / furniture is brand new. 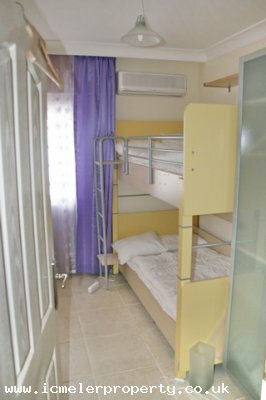 First floor with 3 bedrooms, main bedroom with double bed and en-suite bathroom, another bedroom with 2 single beds and 3rd bedroom with bunk beds. 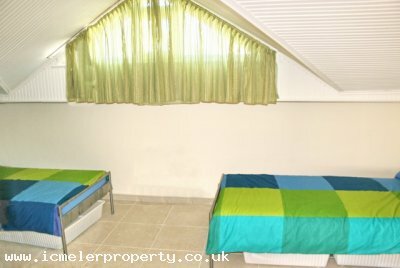 Second floor with another 2 bedrooms, 1 with a double bed and 1 with 2 singles. 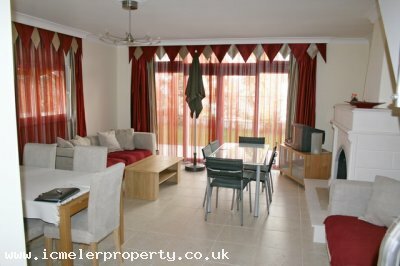 Living room with fire place and two 3 seaters, dining table for 6 and breakfast bar for 4. 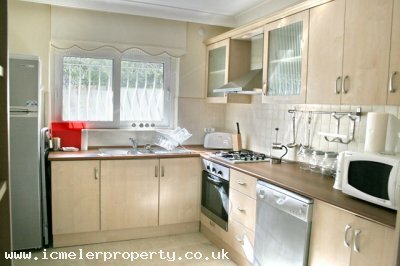 In the kitchen you will find an oven+cooker, kettle, microwave, toaster, fridge and a washing machine.